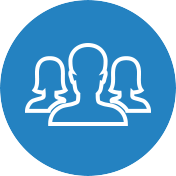 The labrum tear surgery is performed to repair the damaged labrum in the shoulder. The labrum is a small structure of soft tissue that surrounds the shoulder socket. It provides stability to the shoulder because it keeps the upper arm bone from falling off the socket. 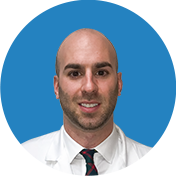 The glenoid labrum tear is a common shoulder condition that occurs as a result of overuse of the labrum, or after direct trauma to the shoulder. When the labrum is torn, the shoulder loses its stability, and the risk of shoulder dislocation hugely increases. 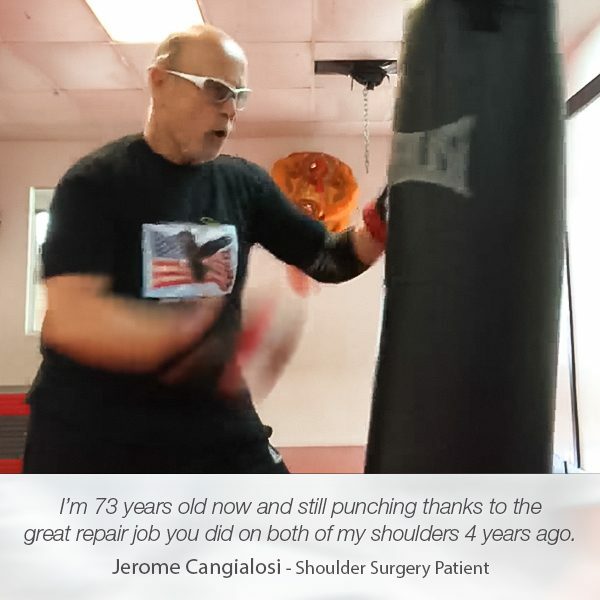 Therefore, proper treatment provided on time is crucial for the joint’s and the shoulder’s health. 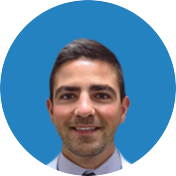 Unfortunately, it is hard to prevent the labral tears, especially in people who experience an event that causes trauma to the shoulder such as falling onto the shoulder, or an injury caused by a car accident, just like Joseph Lucci had experienced. 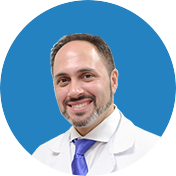 Joseph visited Manhattan Orthopedic Care for an appointment with Dr. Armin Tehrany. He felt a dull pain in his right shoulder, and he had difficulty moving the arm while performing his usual activities. 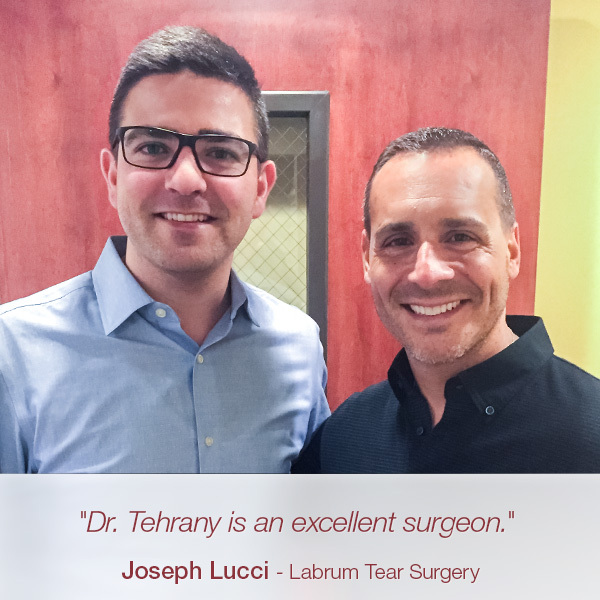 As an experienced and top shoulder doctor, Dr. Tehrany recognized the labrum tear within minutes during Joseph’s examination. 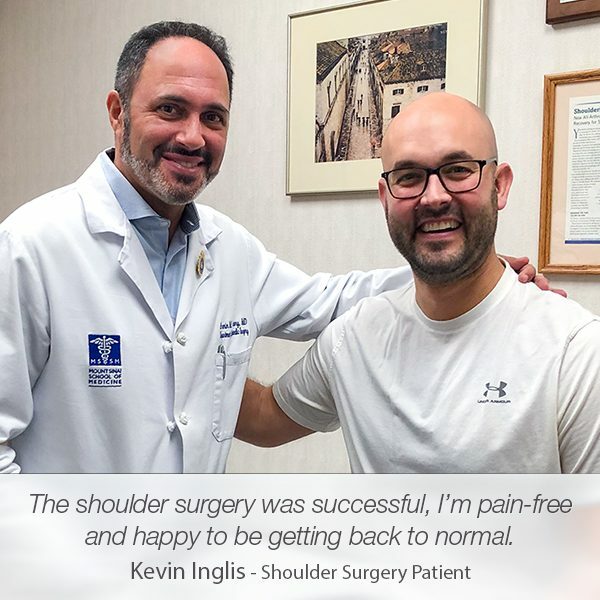 His shoulder was in pain and had lost the strength which caused instability in the shoulder. Sadly, Joseph’s tear turned out to be severe and required labrum tear surgery. 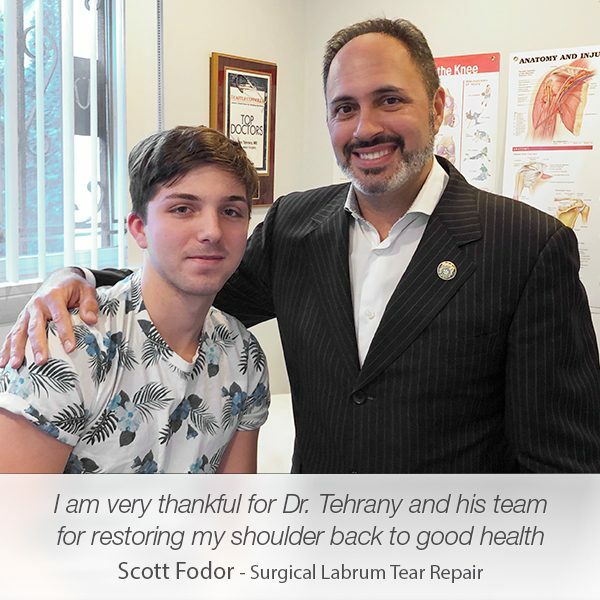 Dr. Tehrany, who is specialized and significantly experienced in arthroscopic shoulder surgery, performed the recommended labrum tear repair leaving Joseph pain-free and surprised that he didn’t feel anything during the whole surgical and recovery process. 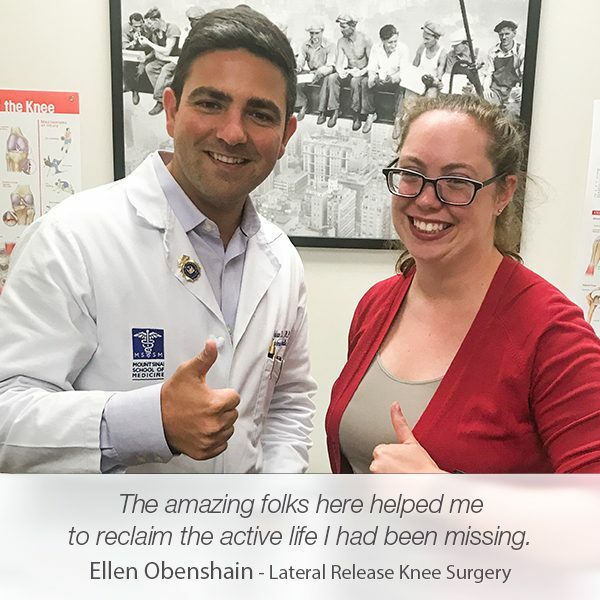 Thrilled that the recovery took less time than he expected and that he managed to get back to his everyday activities in no time, Joseph gave a five-star review on Google, expressing his gratitude to Dr. Tehrany.